It’s rare when a sequel lives up to the original. Even rarer when that sequel equals or bests the original. Blade Runner 2049 is that super rare gem. This film excels on every level. It is visually stunning. Director Denis Villeneuve pays homage to the original while creating his own brand of breathtaking images and settings. It feels familiar and yet fresh and new. The visuals, action, pacing, and music all combine for an amazing and solid style of filmmaking. The movie is long – 163 minutes – but you will be riveted to the screen the entire time. It’s long without feeling overlong. With so much depth, the film breathes with a life of its own. The acting is superb. Everyone reached deep to hit their mark and more. Spoiler – Harrison Ford is only in the film for maybe thirty minutes. It is Gosling who carries the movie and he does so very well. Ironically, in a world of humans, replicants, and AI computer programs, it is the latter who shows the most emotion, and Ana de Armas shines as Joi. The music also shines. It’s also homage to the original while innovative in its own right. And the story line – well, it’s better if you go in only knowing what you saw in the original Blade Runner. And you’ll think you have it figured out…until the end. These are based on watching the first episode of two Marvel-based series. It felt cheap, miscast, poorly acted, and very predictable – and those were its good points. It could have been a great show, but they decided to play it safe and trot out every cliché possible. Iwan Rheon plays almost the exact same villain he did on Game of Thrones. Ultimately, when your large, animated dog is best character, you’re in trouble. Unless he’s Scooby-Doo. And that’s what this is – a bad Saturday morning cartoon. Good cinematography, acting, intriguing special effects, and a compelling story. I liked everything about the first episode. It’s not quite Legion quality, but really, really good. Those who’ve read the comics will be familiar with the characters. I understand they are following the comic book story line closely as well. Hopefully it can maintain its top-notch writing and acting. This one was almost movie quality. And they didn’t even need a giant dog! Wow, there were so many awesome photos. You guys were really creative. Sarah, Karen, SE White, Carrie-Anne, Tyrean, Fundy, Sandra, Erika, Olga, Toi, IB Nosey, Morgan, Nancy, Deniz, Zan Marie, Allison Kathy, and Sharon. 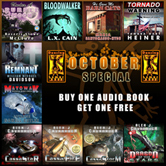 My publisher is running a special all October - buy one audio book, get one free. Buy any of the eleven Dancing Lemur Press, L.L.C. audio books in October 2017 from either iTunes, Amazon, or Audible, including my five audio books, and get another one of their titles for free. 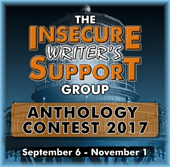 Don’t forget the annual IWSG Anthology Contest deadline is November 1! 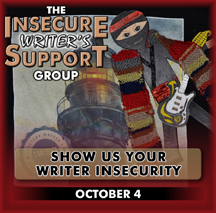 The Insecure Writer’s Support Group Writing for Profit Available Now! Anyone else see Blade Runner 2049? Have you watched either television show? Did you enjoy all the IWSG pictures last week? And do you know any of the trivia…? 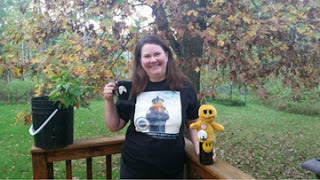 Good Morning Alex, thanks for a great news and review s post. 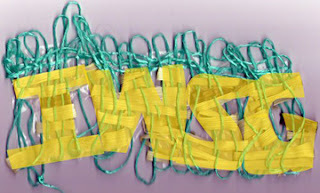 Congrats to the three winners of the ISWG CONTEST. Hope you have a great week. I've not seen the original Blade Runner, but I want to now (because of the new movie). I'll have to see if my son owns the movie (he probably does). 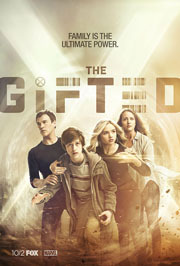 I watched The Gifted and liked it very much. I've recorded Inhumans and now I'm not sure I want to watch them. Is it as bad as The Orville? Because I'm not liking that one much, either. Trivia: 1)?, 2) Logan's Run, 3) Fifth Element, 4)?, 5) Oblivion, 6) Total Recall, 7) The Time Machine, 8)?, 9)?, 10)? Congrats to all winners. J Lenni Dorner's photo is cool. I'm catching the Blade Runner this weekend, hopefully. The Blade Runner more than lived up to its reputation with the grand review. It should readily be on the bucket list of many. 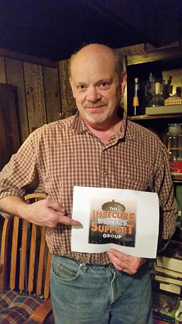 Congrats to Ken and the other IWSG winners. Great pics! Not versed enough to be in the trivia, though. Thanks Alex! Thanks so much for mentioning my books, Alex! Stacy, it will help to watch the original first. I thought Inhumans was worse than The Orville. And you got five right. Nila, you are in for an experience. The paper gave Blade Runner an equally stellar review on Friday. I wondered if it was an aberration...glad to hear that it's really that good! We'll put in on our must-see list. Glad you liked Blade Runner so much. I agree that sequels are hard to get right. Probably will wait till it comes out on Netflix to see it. After seeing all the bad reviews for the inhumans I couldn't bring myself to even look at it. Rather watch Scooby Doo. Good that there is finally a sequel that got it right. When was the last time that happened? Terminator 2? There were definitely some fun IWSG pics! Saw Colossal with Anne Hathaway - odd but not bad, although it definitely takes a darker turn than the quirky trailer would have you believe. Pat, it just might be that long ago they got a sequel right. And you got nine right - no surprise! I'm a winner! Thank you so much. I think it was Mr. Happy that clinched it. He's a great mascot whether you're insecure, lost, or just need a pick me up. I think we'll have to rewatch the old Blade Runner, then go to the new one. Great review. Congrats to the winners! Off to check out Writing for Profit. I went to see Blade Runner 2049 yesterday with my brother and it was excellent. And yes, I did think I had it figured out - until the end. I want to see it again cuz I know there's stuff I missed. Mary, congratulations. Mr. Happy always wins. Marcy, I want to see it again as well - I know there were clues I missed. Seen the first two episodes of Inhumans and only the first episode of The Gifted. I admit I like both, the latter more than the former. I'm just really interested in how the four Inhumans will reunite. Do you think, with Xmen and Brotherhood gone, will any mutant from either group make a short cameo experience on the show? Only know 1, #3 The Fifth Element. It's my favorite sci-fi movie next to Weird Science, Spaceballs and Galaxy Quest. Glad to hear that Blade Runner is good and worth seeing. Sad to hear Inhumans didn't go over well. Glad The Gifted was better. Congrats to the contest winners. I remember seeing Ken's post and thinking, "Good for him. Hope he wins one of the prizes." Mrs. Shady and I have been watching the promos for Inhumans and The Gifted. I don't know about her or you, but I can usually tell from the promo if a series or film is going to be good. The promos for Inhumans got old really fast while those for The Gifted were intriguing. Therefore your reviews do not surprise me. We were both looking forward to Marvel's Most Wanted, a spinoff of Agents of S.H.I.E.L.D., but the project has been scrapped. great review. Ray and I need to rewatch the first one, then carve out the time for this one. Almost 3 hours can be daunting. congrats to all new books for authors, etc. October is kicking into gear, just like Ray watches too many kicking footballs. Sigh. I am SO EXCITED about Blade Runner!!!! I'll get my daughter to see it with me...or I can go alone, but I'm seeing it. Still having a hard time believing the Blade Runner sequel is good, but the hubby and I are going to try it! I think #6 is the first Terminator movie, , and #7 is The Time Machine. Can't wait to see Bladerunner! Thanks for the review. Congrats to all the winners. So pleased Ken has finally shared his talent! You've convinced me to watch the original Blade Runner and then the sequel. Thanks for the review! Lidy, even though Fox owns the X-Men, I can't see any of the characters making even a minor appearance on The Gifted. Toi, that one is a bit of a stumper. Shady, and we'll never know if crapping it was a good or a bad thing. Joanne, I've not watched many pro games this year. This fan is saying no. Libby, if you liked the first, you will dig it. Carrie-Anne, you got the old one right. No surprise! Ian, go read the reviews on Rotten Tomatoes - that will change your mind about avoiding it. The Fifth Element! I love that movie. The new Blade Runner was amazing. I haven't even seen the original "Blade Runner"! I really should catch up. Thanks for mentioning The Gifted. I've just started watching and am enjoying it. I'll have to check out Blade Runner. Congratulations to all of the winners. So many great entries. Sadly missed the pics.... Moving takes you out of the loop for a while. Thanks for the great reviews. AND, Congrats to the winners! Wow, a sequel that's good. That is rare. Congrats to the winners! I'm not surprised Blade Runner is a hit. I'm really looking forward to seeing it now and Congratulations to the IWSG writers. There's so much creativity out there bursting with enthusiasm - it must have been hard on the judges. Yay! Congratulatiosn, J Lenni, Mary, and Ken! Have a great week, Alex, Mrs. Alex, and Mini. Spacer Guy, it was really difficult. 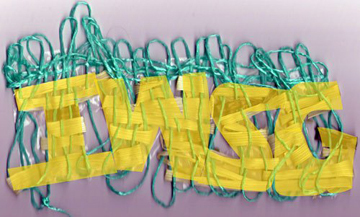 Congrats to the IWSG contest winners. It must have been a very hard decision to make. The photos I saw were very creative. 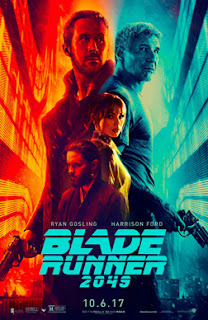 I heard Bladerunner had a bad opening weekend at the box office. I've stuck with Inhumans through 3 episodes but it is unexciting. Difficult to like any of the characters. Glad to read your review of Bladerunner. I enjoyed the first. Too bad about Harrison Ford as he is one of my fav actors. As for movies I liked, #6 on your list is my favourite sci-fi-action movie. Congrats to the IWSG winners. It might sound bad but I'm still to watch the original Blade Runner. Want to see both now! The IWSG contest was definitely a lot of fun. Congrats to the winners. I only got a few of the Futuristic Movies. I don't even recognize some of those actors. Boy, every time I hear about Inhumans it's spoke of in even worse terms. They really weren't trying with this one. Haven't seen the new Bladerunner yet nor the shows profiled. You have me intrigued, though...thanks! First, Congrats to all the winners you have some awesome prizes to enjoy. I have to watch Blade Runner again, before I watch the new one. I know if you gave it a good review it will be worth viewing. It's funny how so many hated Bladerunner, yet half of my friends LOVED it. Maybe it's a sci-fi noir thing. Either you get it, or you don't. I tried to watch the Inhumans. It was BAD. And I agree, the dog was awesome. I want a portal-creating giant doggie! Susan, they say the run time hurt it. Nick, you have to see it! JE, they didn't even phone it in. Jay, I want one as well! We're going to try to see Blade Runner tomorrow. I forgot to watch The Gifted. At least you liked it. Congrats to the winners! I really liked Sarah's photo. And I thought someone did one with a cat...it was really cute, but I didn't see it among the listed participants. As Blade Runner is in my top ten favourite movies - they range from A Matter of Life & Death/Stairway to Heaven to Cinema Paradiso - I want to see Blade Runner 2049. But as I'm in a wheelchair, I need to persuade someone to take me, but nobody in the family is interested...or even saw the original. Blueray - except those are piling up as waiting for fellow watchers. Congratulations to the contest winners. Great pictures. Congratulations to Patsy on her books. I haven't seen anything, as usual. Maybe someday. I have seen neither show, but both are sitting on my DVR. I admit, I'm more prone to see The Gifted than Inhumans. I'm leaning more and more towards deleting Inhumans unseen. I want to see The Blade Runner sequel because it does look so good. Glad to hear your review..I mean read it:). I tried watching g Inhumans and it was horrible. I want to see The Gifted but have missed it. I’m loving The Orville and disappointed in the new Star Trek show that seems to go against everyth8 g Gene Roddenberry wanted. As for the the trivia...2 Logan’s Run 3 the Fifth Element 4. Second Planet of the Apes movie 5. Oblivion 6. Total Recall 7. The Time Machine 8. Mad Max...and that’s it. I believe the Denzel Washington film starts with a E but I haven’t seen it yet and don’t remember. I watched Blade Runner in a Sci-Fi films workshop I took back in college (it was the final credit I needed to earn enough credits for my undergraduate degree). It was a long weekend workshop, and though I slept through large chunks of a few of the movies shown, Blade Runner kept my attention. I'm looking forward to the sequel. I think Inhumans suffers mostly from the fact that its target audience is accustomed to its TV product looking like movies, for all intents and purposes. Even if they watch other stuff that feels like classic TV they have way too much superhero competition to take something like this seriously. But it's not really all that bad. I liked Blade Runner 2049 less than you did, but I still found it pretty good. Thought a little more action and vigor would have helped. It was too much like the original approach-wise. I ummed and ahhed about whether to tune into The Gifted as it's just started here in the UK and didn't end up watching the first episode. I figured I watched too much TV as it was, but I might just give it a go based on your recommendation! I'm really enjoying The Gifted so far. Congrats to the IWSG winners! Chrys, hopefully we didn't miss one. Roland, tell your family member to go see something else then. And you got six right, almost seven. Liz, deleting it would be a wise choice. And you got four. Birgit, you got seven and were so close with that last one. I'm not thrilled with the new Star Trek either. Jeri, it has the exact same vibe to it. If you really recommend Blade Runner, then I'll be seeing it -- all (almost) three hours of it. I finally saw Dunkirk and basically turned into a nervous wreck for the entire film. But also I felt mournful because this wasn't fiction. Congrats to Patsy on the new releases. You had me at Logan's Run. I'm soooo relieved Blade Runner is good. I was scared to death it was going to be a lemon. Blade Runner 2049 is one of the most beautifully shot movies I have ever seen, and while seeing Ford in the third act reminded me of seeing him in Star Wars, taking me out of the movie for a couple of seconds, his character was treated with respect and I know this one's bound to impress viewers ten, twenty, thirty years from now. Congrats to the 'show your insecurity winners' and to Patsy. My son hit Blade Runner this last weekend and just said, "Mom, don't even try to take the kids there. So not appropriate." (meaning his younger siblings) Otherwise, he didn't comment much. But then, he never saw the original either. Have a great week! I'm so glad that the new Blade Runner was good! My son and I discussed watching Inhumans. It didn't look very good and as soon as I saw the red hair special effects, I wasn't really buying it. So, we didn't record that one. We did try The Gifted and I thought everyone did a good job in that. Hopefully they can keep it going. The contest was fun! I loved the participants pictures! I haven't seen the new Blade Runner, but it's getting rave reviews. It's a shame that the movie is under-performing. But the original was a flop, so it'll find it's audience. Grats to Ken and other winners! I hadn't even heard of Inhumans. Guess it wasn't good enough to make it onto my radar. 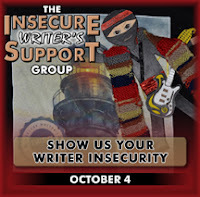 Loved seeing the IWSG pics and congrats to Ken for telling all of his facebook friends about writing! I haven't watched any of those yet, but I am super thankful for the reviews. We went to see Kingsman: The Golden Circle last night ($6 Tuesdays at our local theater but Blade Runner was full, of course), and ... it was a Kingsman movie (and not as good as the first). Before we go to watch Blade Runner 2049, we are going to introduce our teen daughters to the first one. Helena, it's a powerful film, isn't it? T, it's definitely for adults. And rated R for a reason. Heather, I'm still enjoying The Gifted. Tyrean, that's why I am waiting for NetFlix with Kingsman. Definitely get your daughter up to speed and take her to Blade Runner. Thanks for the review on Blade Runner! Funny what you said about Inhumans. The large dog is my favourite character too! LOL! Congrats to all the winners! Take Care Alex! Glad Blade Runner 2(049) treated you well! My timeline seems to be furiously arguing over whether it was great or terrible. I'm stoked for Gifted, but will wait until more episodes are available. Hi Alex. I skipped the movie reviews because I haven't seen any of those yet (and I never read reviews before seeing/reading). BUT ... BIG CONGRATS to the winners. Okay, so now I NEED to see Blade Runner. I'm always cautious of sequels because of the 98% disappointment factor and am thrilled to see you recommend it so highly. Happy to hear that Bladerunner was good. Gosling is a really good actor! Sorry about Inhumans. I was actually looking forward to seeing that because I've enjoyed the show, Agents of Shield. I finished the bulk of my anthology. Now I need to do the editing. Wish me luck! That's a bummer about Inhumans. I was somewhat curious since I read some comics with the characters in it, so I know a little. I had planned to see Blade Runner this week, but, well, life -- and fire -- had different ideas. Hope the audio sales are off the charts! How does it feel to hear your book on audio? That's pretty exciting. Congrats to the IWSG photo winners! I agree that The Gifted is very well done with superb acting, but I might have to disagree with you on Inhumans. I liked it, but then I do tend to enjoy a little cheesiness on tv shows (i.e. Flash). I love the dog, and I also found Anson Mount's nonverbal acting to be quirky and entertaining. I had a feeling (and I'm glad it's right) that Blade Runner would be done well. I didn't last ten minutes on Inhumans. I think your assessment is spot on. Cute photos and congrats to the winners. I missed all the pictures last week. I wonder what I was doing? Low on trivia answers this week. We saw Blade Runner. I did not get up to go to ladies' room once, not even once. that says a lot. Thanks for the info re The Gifted I’ve just watched a trailer, and I’m hooked! Congrats to the IWSG winners. John, I don't know how anyone could find it terrible. Lynda, this is one of those rare good ones. Sherry, safe yourself and avoid it. Elsie, that's her fault. And you can do it! Elizabeth, someone needs to like the show or it won't last. Susan, I didn't have to slip out either. Besides, I was glued to the screen. I might have to see Blade Runner Alone. I'll see Other Side of the Mountain with wifey. This will be a good weekend for me to binge watch at the theatres. Oh man! I couldn't agree with you more on your thoughts on the Blade Runner sequel. It was stunning. So glad I saw it in IMAX. Thanks for the review on the new Blade Runner movie. I saw that it didn't do very well at the box office, and the review in our newspaper wasn't exactly stellar. It had been so long since we saw the first movie, we watched it again last weekend to refresh our memories, so I'm READY to see the sequel! Hugs congrats to all the winners! Hope you and Mrs. Alex enjoy the weekend to the max. Before I can see Blade Runner 2049, I must see the original again. It has been so long, I want the original fresh in my mind as I take in the innovation of this sequel. I really enjoyed your review. Certainly gives me extra drive to check it out. Congratulations to the winners of the contest!! Very cool. As for the trivia, I can think of Equilibrium, Fifth Element, Total Recall, Planet of the Apes (I think a couple of them are referenced), and War of the Worlds off the top of my head from what I saw. I'll be back to see if any of those are right. Hugs to you Alex for always be awesome!!! I have to admit, I didn't remember the original, so I started it...got distracted and didn't finish it. So, I need to rewatch it so I can see the new one. I don't remember the original either, but it bombed at the box office. Thanks for the review. I'm behind on all things social networking. Hopefully soon, I'll get caught up! Susan, most people are just complaining about its length, which I thought was just right for the style of the film. Sandra, they are coming in! Angela, you did get a few right. You nailed INHUMANS--Yuck! But THE GIFTED is excellent. I haven't seen Bladerunner or the sequel, but they both sound good. First off: Congratulations to all the winners! Second off: Congratulations to Alex for the win over at Echo Effect! Finally: When the hell did Blade Runner come out? How did I miss this???! I've been glad to hear that Blade Runner 2049 is doing so well; bringing movies back after such a long time rarely works out. But it's good to see a sci-fi movie getting so many positive reviews. And I'm not too surprised about Inhumans - I'm a huge Marvel fan,and this is the first thing they've put out that I genuinely did not want to see. >_< Glad to hear that The Gifted is off to a good start, though - I've lost faith in Fox after the last two X-Men movies, so if they're doing things right on TV, more power to them. Oooh, glad to hear that Blade Runner is THAT good. :) I look forward to seeing it very much. That was an 'ouch'y review on Inhumans (haven't heard of it before seeing this post :P ). That contest was a great idea! The entries were so much fun. Thanks for posting about Spirits today. I forgot how great your blog was! So many cool bits of news!! !